Aye Dil Tu Bata is an upcoming drama on Geo Entertainment. Produced by the amazing duo of Abdullah Kadwani and Asad Qureshi, this yet another exciting project is going to air soon under the banners of 7th Sky Entertainment. 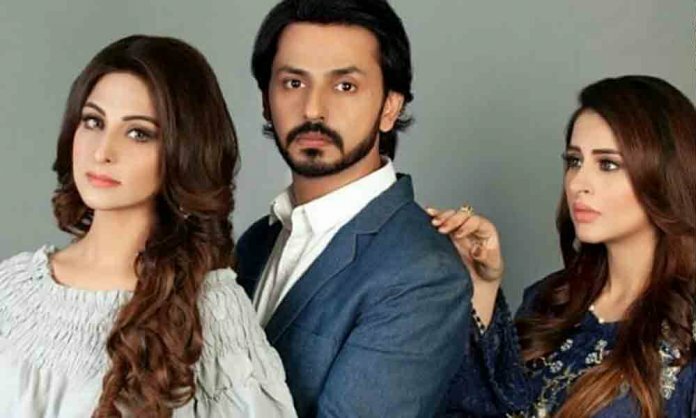 Aye Dil Tu Bata will follow the story of a love triangle, starring Fatima Effendi, Bilal Qureshi and Ali Ansari in the lead. It will revolve around the lives of these young individuals who will cross path in each other’s lives, but things will not turn out the way they expect them to be. It will take you on a ride filled with emotions, feelings and all the old-fashioned troubles in every fairy tale that you can enjoy Monday-Friday at 7:00 p.m. on Geo Entertainment.